Although the Sun vastly outshines it, Jupiter was still a bright target for LORRI and the deep-space photo session required fast shutter speeds, with exposure times of only 0.009 seconds. 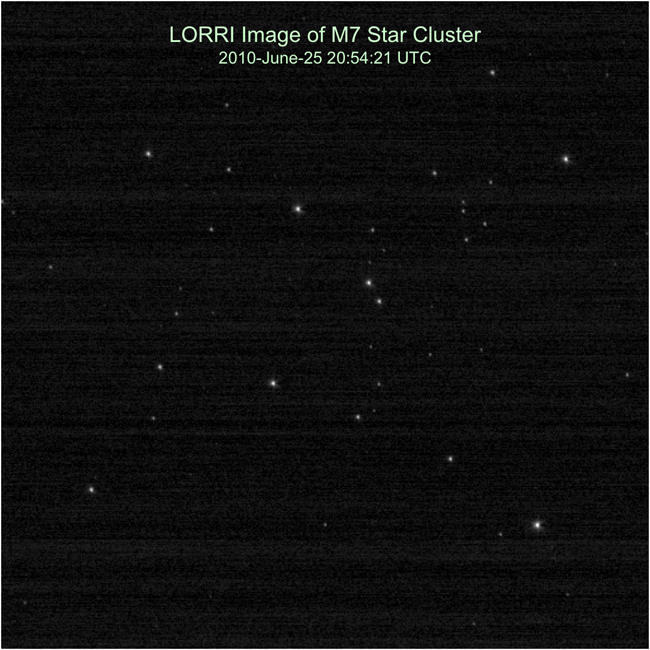 That's why the much smaller satellites appear so faint in the LORRI images. 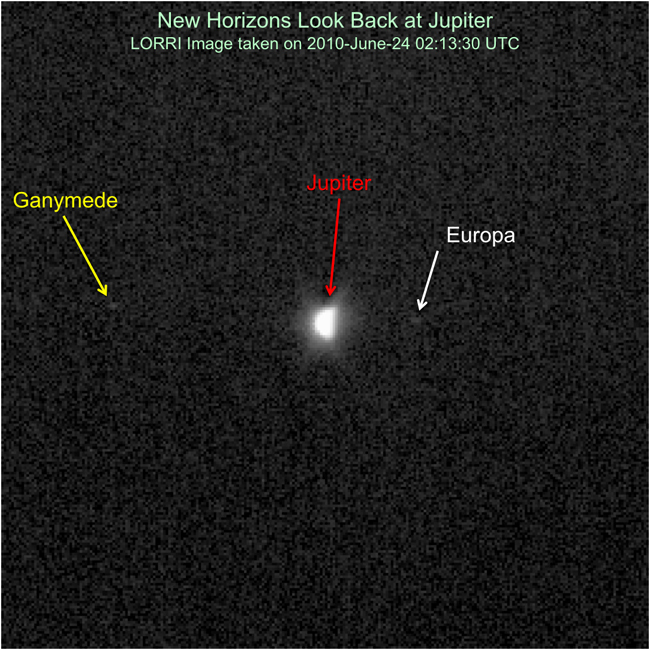 "This haunting image of Jupiter - far in the distance, back in the Sun's warmer climes from where New Horizons came - reminds us of Voyager's family postcard of the planets taken from beyond Neptune's orbit about 20 years ago,” says Stern. 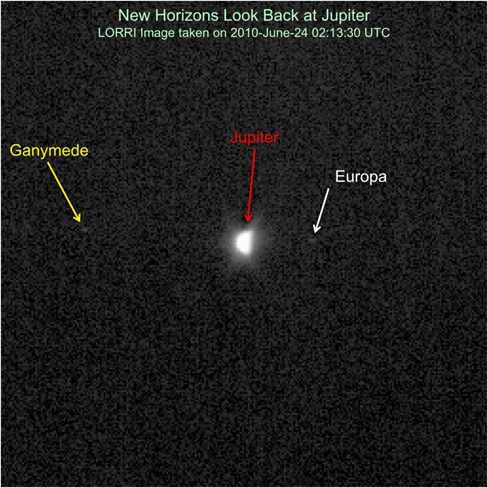 “Perhaps after we fly by Pluto in 2015, we'll try something similar from our perch aboard New Horizons." 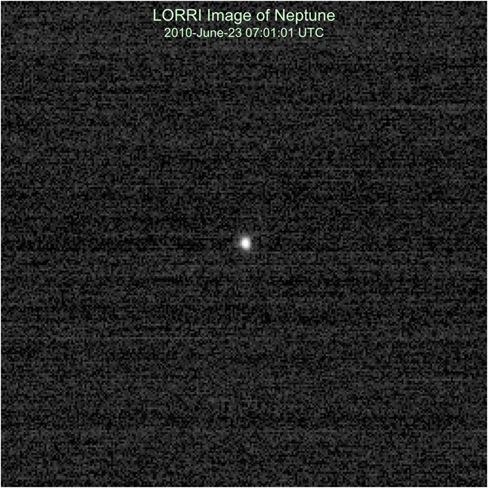 LORRI also took aim at Neptune and the M7 star cluster in late June. See the images in the New Horizons Science Gallery. The final activities included making sure the spacecraft's command and data handling system was in working order, and loading new navigation data into the spacecraft's guidance and control system, based on the June 30 trajectory-correction maneuver that refined New Horizons' path to Pluto. The Venetia Burney Student Dust Counter has also been turned on, now that the other six instruments in New Horizons science payload have been shut down. Working from commands transmitted last week to its computers, New Horizons will enter hibernation on Friday (July 30) and remain in electronic slumber until November. Operators at APL will monitor the craft through a weekly status beacon and a monthly transmission of housekeeping data.